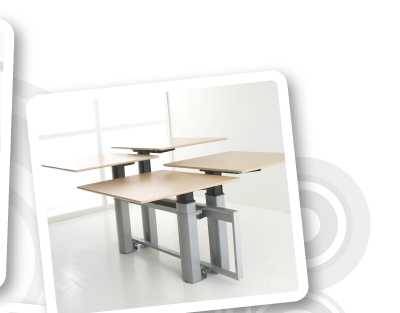 Why Electric Sit-Stand desks from ConSet? Changing your working position regularly helps to prevent back problems. If you have an existing back problem then standing at a high desk for parts of your day rather than sitting all day at a standard desk can offer great relief and help the recovery process when back problems occur. People of various heights can easily adjust their desk according to specific needs - which can be of great benefit for those of a taller stature to prevent them from stooping. 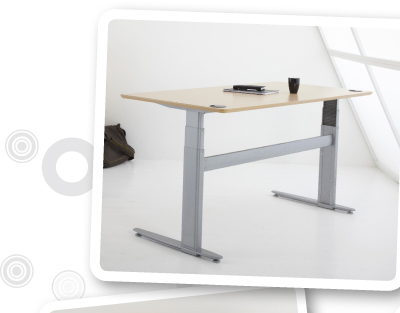 Electric operation means that people can easily adjust their desk height which is very useful for wheelchair users as well. Ideal for people where sitting all day is not an option, ie. individuals returning to work after back surgery. Easy up and down operation with the added safety features that 2 buttons must be pressed together to avoid accidental operation. Advantageous for groups who share the same workstation - ie. "Hot-desking" or constantly shift their working environment. 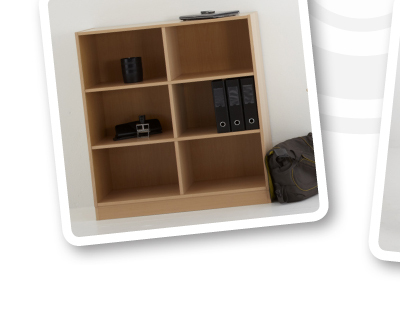 An adjustable height computer desk is no longer a costly investment. 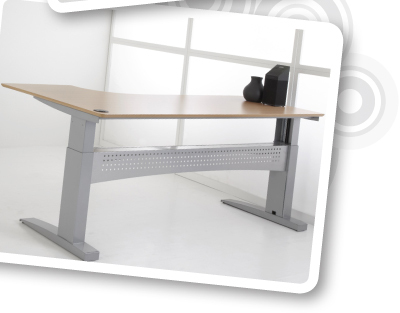 Our adjustable height computer desks are available in Pedestal (1-Leg), 2-Leg and 3-Leg versions and feature the highest cost-benefit level in the business. Adjustable height computer desks can be customized to the user at the touch of a button.